We Finally Meet- 18x24. Fixed Charcoal and Conte crayon on pastel paper. This drawing will be sent anywhere rolled softly in a cylinder package. *Note the water mark (moysays.com) is not part of the actual drawing. $140.00 including shipping. Not including California sales tax. Charcoal and pencil on pastel paper. 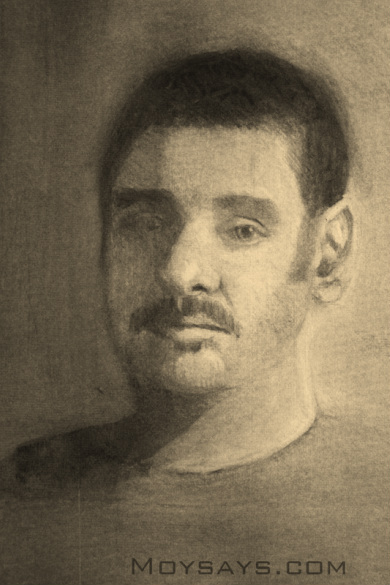 Conte crayon and white pastel on pastel paper.